It was a beautiful, warm day in the mountains today. It hasn’t snowed in a couple days but it snowed substantially over the past week and stayed cold until today. There was even a very solid layer of surface hoar on the order of an inch thick early in the morning up high. It got softer as the day went on. 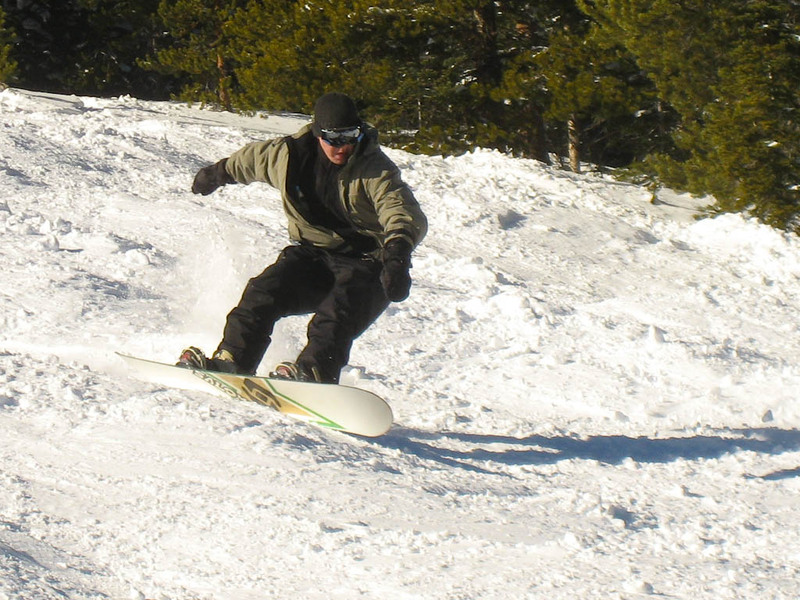 I was glad to be there as I hadn’t made it out to Breckenridge since early season. 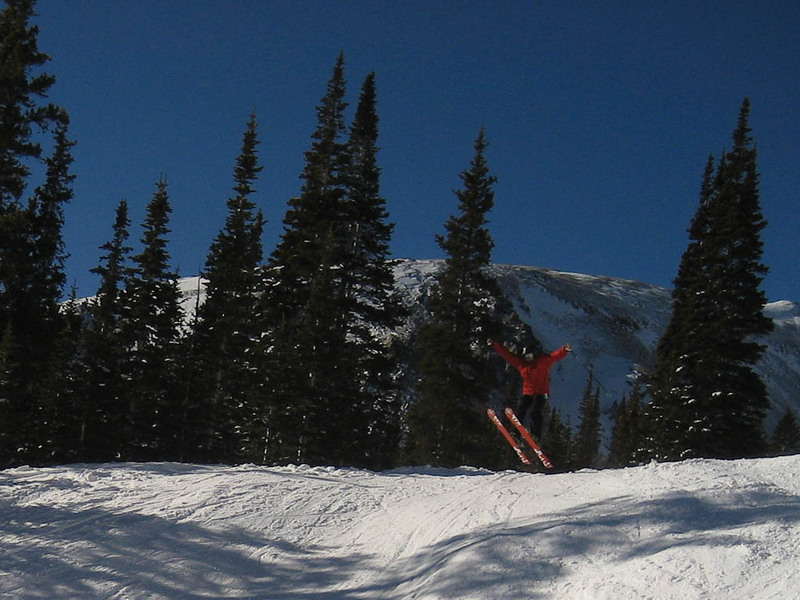 Here’s me gaping it up on a kicker I’ve certainly done a better of of hitting. Lake Chutes was phenomenal. Soft, filled in, and of course steep. 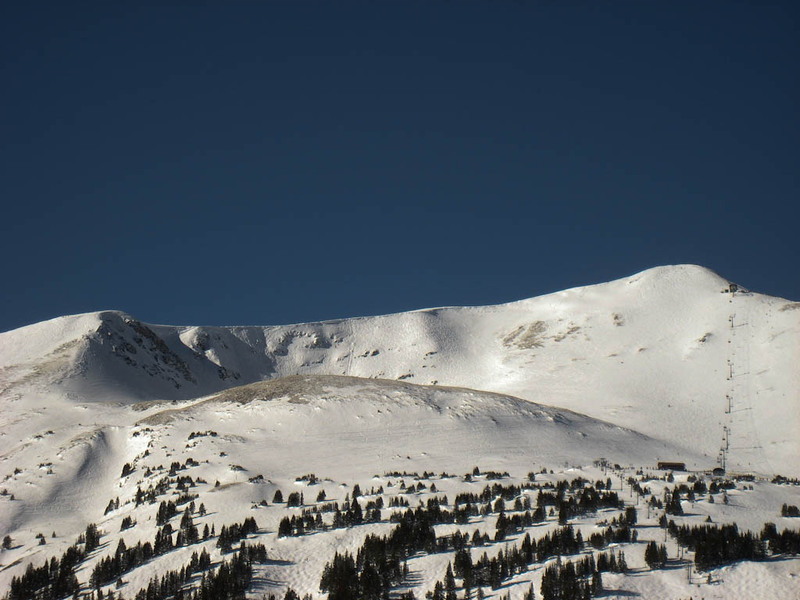 A little wind up top, but nothing compared to the usual Breckenfridge gale force winds.